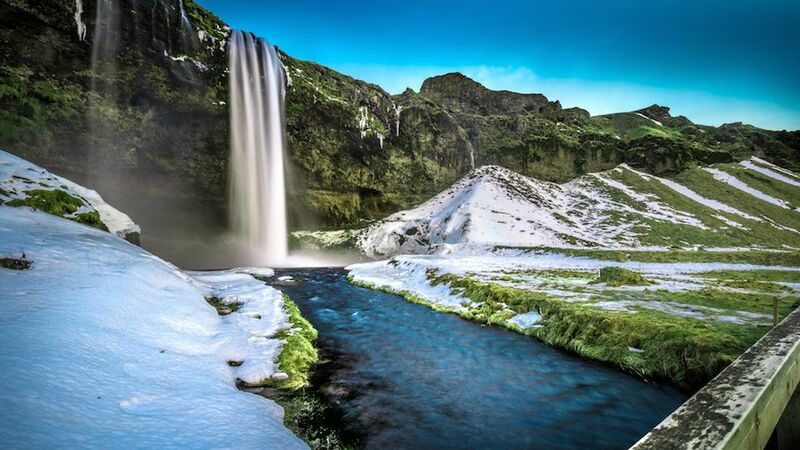 When you think about Iceland, you probably, like us, imagine hot springs in the middle of nowhere, boiling hot water that spouts when you least expect it, never-ending roads, waterfalls, magical landscapes that allow you to understand perfectly the reasons why it is one of the places best loved by travellers and the desired destination of anyone who loves nature and photography. In reality, there is more to Iceland than this: a veritable yet little-known culinary heritage that deserves some closer attention. Because, for us, travelling is also about eating. Our Italian culinary tradition includes eating baccalà (salted codfish), at least for many of us, since as far back as we can remember. We eat it deep-fried, pan-fried, roasted…but did you know that most of the baccalà that we serve at our tables, at least from Rome southwards, arrives from Iceland? Baccalà production is a vast industry and this food is one of the most important resources for the country’s economy, almost as big as tourism. 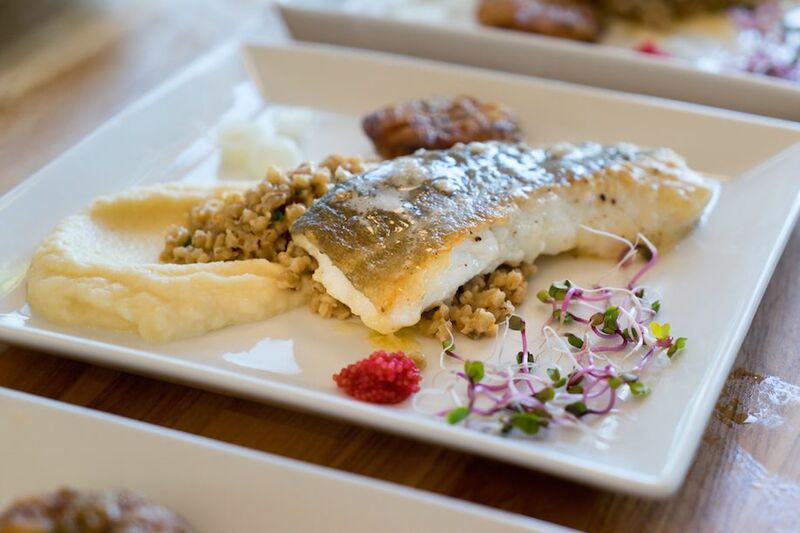 Despite it providing economic sustenance for many families, it is not, however, important in terms of food for Icelandic people, who hardly ever eat it aside from dried, as a snack (like hardfiskur, buttered smoked haddock). Some people incorrectly confuse it with standard yoghurt, because of its commercial version, but skyr is a creamy cheese, more or less firm in consistency, first created centuries ago as a poor man’s food and also used to preserve other foods, especially meat. 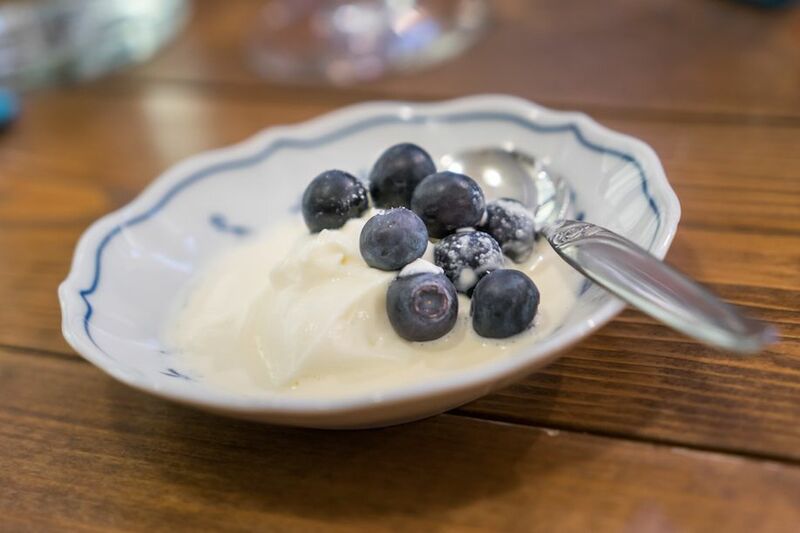 The flavour of the original skyr is very strong, which is why, today, you mix it with milk or cream and sugar, to give it a more widely acceptable taste; eaten with berries or honey it is simply delicious. One interesting fact: today, you can find it in all the supermarkets but Iceland is trying to obtain protected designation of origin for skyr, thanks in part to the efforts of Slow Food, in order to prevent the production of copies that do not reflect the value of the original product. The name may not mean much to you, but the flavour, rest assured, if you have the courage to taste it, will stay with you forever. 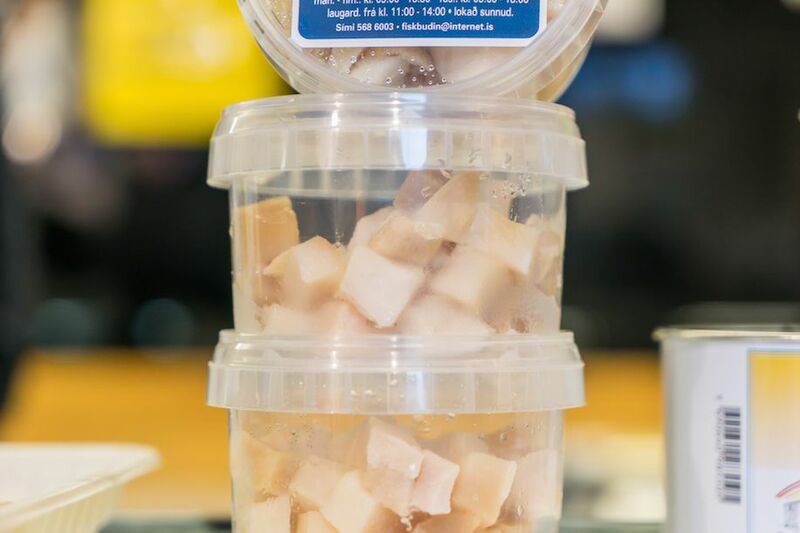 Hákarl is fermented shark meat, that is to say, shark that has been left to rot for an undetermined number of months until the poison in the meat is lost and you are left with a pungent odour of ammonia, due precisely to the rotting meat. Many of you will remember Gordon Ramsey’s disgusted face, and sudden rush to the lavatory after tasting it. 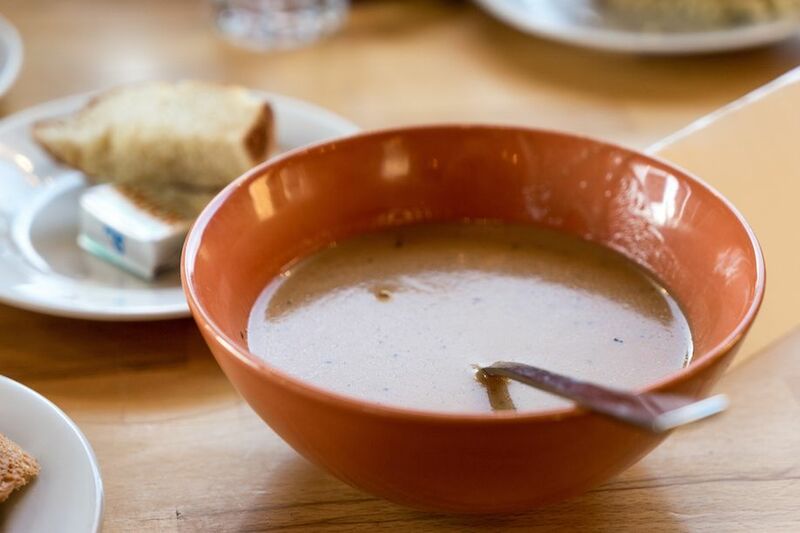 Bjork described it as one of the best Icelandic dishes and we can only agree with her: with its unusual yet delicate flavour, lobster soup is the ideal dish with which to start both the long days of darkness in the Icelandic winter and the longer days of summer. Some serve it inside naturally leavened bread, others serve the bread alongside it. In any case, it is a must of Icelandic dishes. The abundance of milk in Iceland has made this cake of meringue filled with whipped cream the country’s national dessert par excellence. 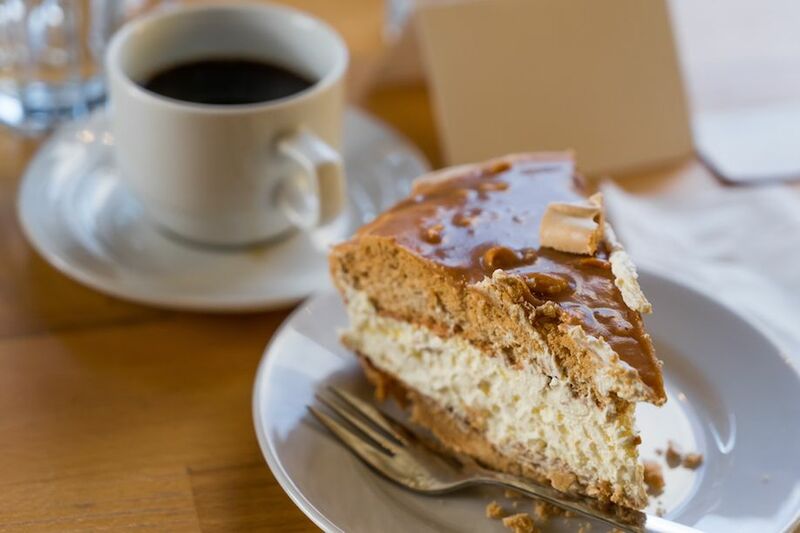 It is practically impossible to describe how delicious it is but, just so you know, according to the latest surveys, Iceland has one of the highest rates of obesity in the world… and there has to be a reason behind it! 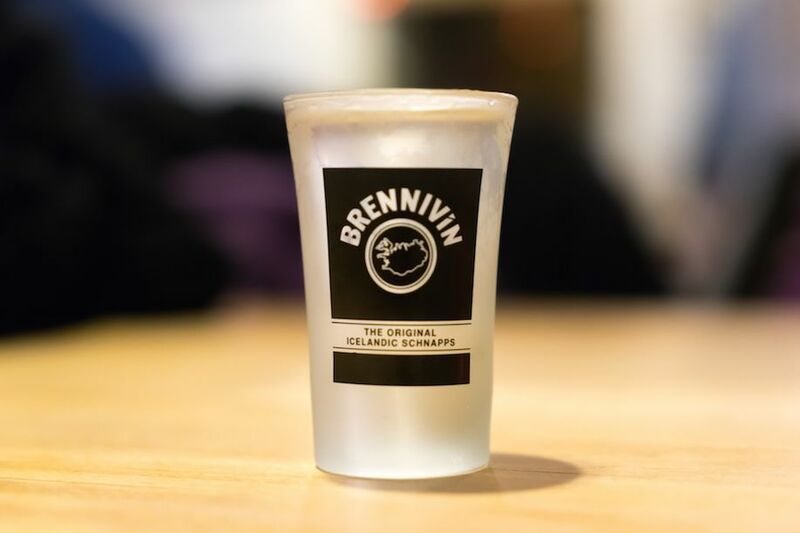 You simply cannot leave Iceland without tasting Brennevin, a sort of Icelandic schnapps made from fermenting potatoes seasoned with cumin. Imagine it served in the traditional manner together with hákarl, and you quickly realise that what seems to be a strong flavour is in fact not so strong and, indeed, serves to tone down the taste of the fermented shark. And, if you get hungry and aren’t sure what to eat, there’s only one solution: an excellent hot dog that must only be bought from one of the stalls that can be found in all the towns and service stations. 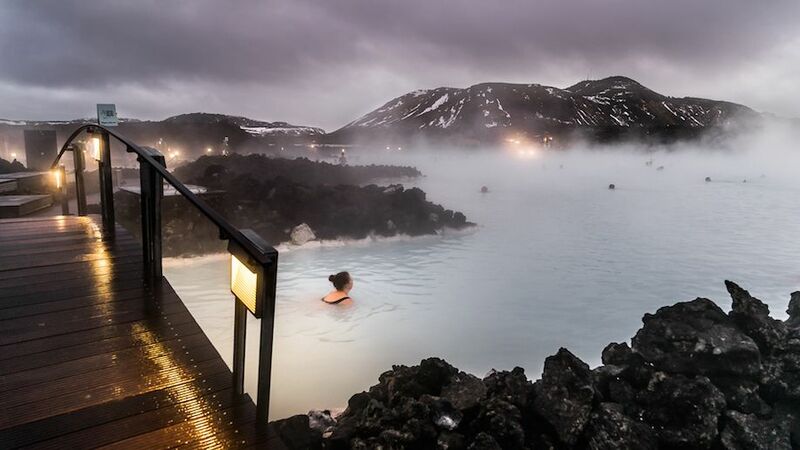 Ask for ketchup, remoulade, fried onions and mustard… you’ll have time to burn off the calories – all it takes is a dip in the Blue Lagoon. Where absolutely necessary, increase the ISO values if your camera lets you.